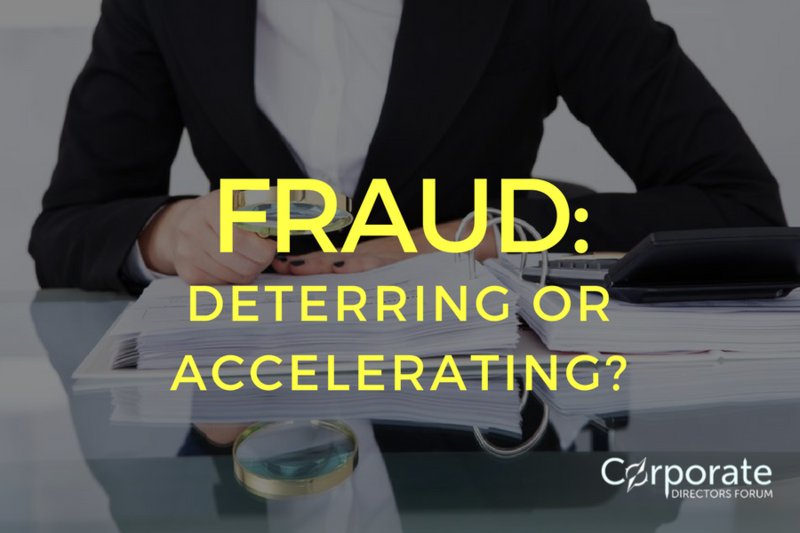 FRAUD: IS THE TONE FROM YOUR TOP LEADERS DETERRING OR ACCELERATING IT? What is the Board of Directors’ role in detecting and deterring fraud? Whether you’re on a Board or in any leadership position in an organization, you’ll want to listen to this podcast. It’s not just large corporations like Theranos and Volkswagen that have to be concerned about fraud – it’s ANY organization because fraud can happen anywhere. Listen in as Kelli McCauley chats with Mary Bennett, V.P. of Advisory Services at NAVEX Global, about concepts like “tone at the top”, ways to spot fraud in your organization, and the best strategies for keeping fraud and its associated penalties at top-of-mind.